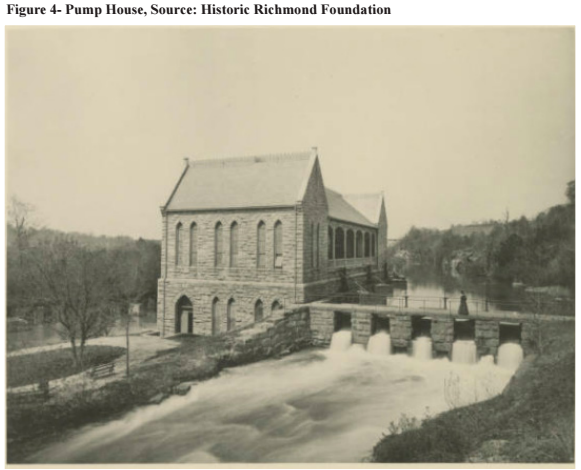 ​The Byrd Park Pump House, also called the New Pump-House, is a wonderfully executed late 19th-century example of the Gothic Revival style, applied to a municipal industrial building whose purpose was to house the Richmond city waterworks. The building, which served as the city’s waterworks from 1883 until 1924, is conveniently situated to draw water from the James River and Kanawha Canal as well as its own smaller canal. 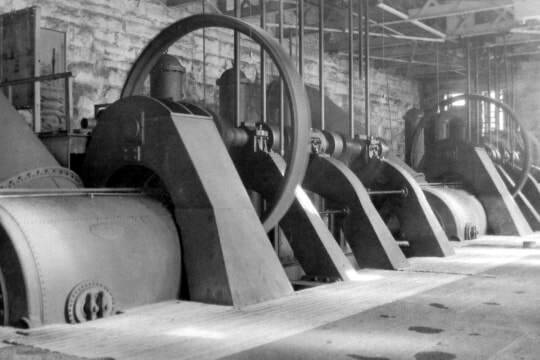 The facility pumped water uphill from the canals to the Byrd Park Reservoir, the city’s main water supply. Far from being entirely utilitarian, however, the pump house was also a popular gathering place in the late 19th and early 20th centuries. 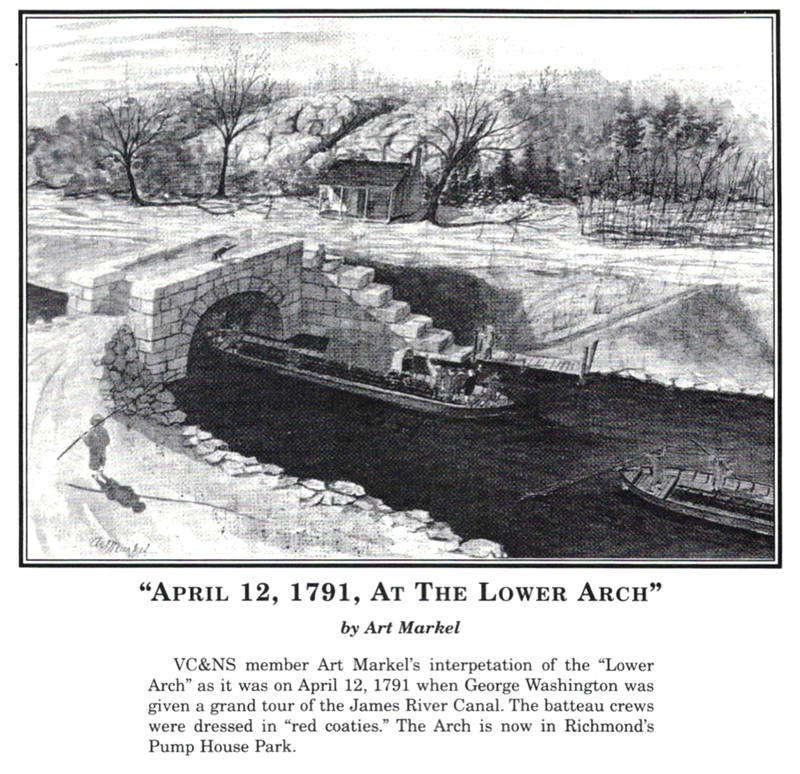 The pump house is in a scenic location at the Three-Mile Locks of the canal system. The site inspired Colonel Wilfred Emory Cutshaw, Richmond’s City Engineer from 1874 until 1907, to design the building as a social venue as well as a waterworks. He included an open-air dance hall, or pavilion, on the second floor above the equipment room. The pump house had the reputation of being one of the only buildings in the country designed and used as both a public utilities building and a social hall. The solid and impressive pump house is made of local granite. It has Gothic features such as pointed arches, lancet windows, and steep gables. The high level of craftsmanship and refinement of the design make the pump house a fine example of the Gothic Revival style and belie its primary purpose as a municipal water-pumping facility. Wilfred Emory Cutshaw, who oversaw the building's design and construction, was a grand figure in the development of Richmond. During his 34-year tenure as City Engineer, Cutshaw's endeavors included roads, sidewalks, schools, armories, parks, markets, and the construction of Old City Hall, one of the city’s most magnificent buildings. He was an advocate for tree planting along streets, and oversaw the creation of a tree nursery at the Byrd Park Reservoir. In 1907, a reporter for the Richmond Times-Dispatch wrote that "Cutshaw's greatest ambition was to turn every available foot of space into recreation resorts for the public." Cutshaw received some criticism for the cost that the pump house pavilion added to the city-funded project, but the pavilion would become wildly popular. During the late 19th century, the pump house pavilion was a favorite destination for parties. 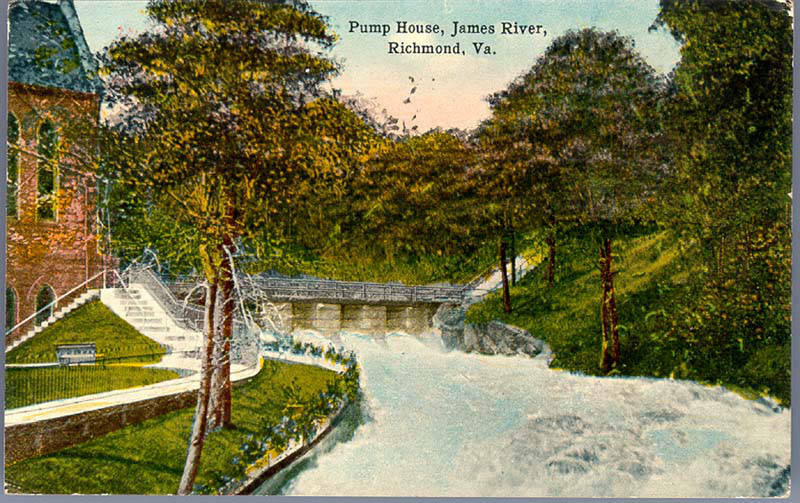 Well-dressed Richmonders could board a flat-bottomed boat at Seventh Street and take a leisurely ride up the canal to the pump house and its festive ballroom overlooking the woods and water below. Sadly, the building closed in 1924, and had its machinery sold off for scrap metal before the outbreak of World War II. The city slated the pump house for demolition in the 1950s but sold it to First Presbyterian Church for one dollar instead. Take a photographic tour of the inside of the Pump House here.